This entry was posted in Aboriginal Australians, Cemeteries, Customs, Military, Remembeing and tagged Aboriginal Australians, ANZAC, Family History, Genealogy, Memoriums, Protecting Gravesites, Remembrance Day, South Australian History by Catherine. Bookmark the permalink. I can understand your sadness Catherine. There is no honour in treating the dead of a generation that went to war on our behalf with such disrespect. Those who died in order that I may live in freedom asked for nothing and were given little. This is not fair payment for their service. Thankyou so much for your kindness and understanding David. It does distress me terribly, especially knowing that many “big knobs”, who are allowing the desecration of these graves and memorials, will be parading around with “poppies” on their lapels and with false words on their lips. I cannot look at photos of WWI soldiers, nurses and the like without being overcome with sadness. A truly horrific war. I can only imagine what post-war life was like when people made their transitions back into civilian life after witnessing all that they had during the war. One of the first Americans killed in WWI came from my hometown. His grave (or at least I think it is. He has “another” in Indianapolis, but I have assumed that is a memorial) is located in the same cemetery as my grandparents and there is a flagpole and plaque not far from their graves dedicated to him. Thank you for this post, Catherine. 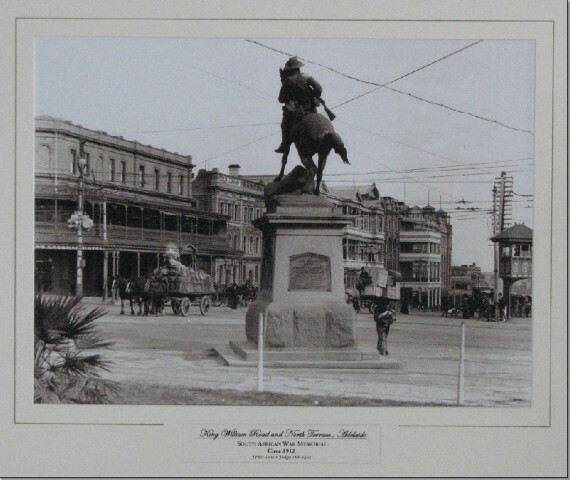 WW1 truly was an horrific war and my husband’s grandfather, who was there in all the horror with his South Australian “diggers”, never talked about it… never went in marches but was totally involved with the RSL (Returned Services League) to get support for those that were not murdered in France but came home physically injured and traumatised. My paternal Grandfather served with the Canadian forces also on the “Somme”. As a member of the “regimental band” his other duties were the collecting and burying of the dead. This followed on from service in the 2nd Boer War in South Africa and all the horrors he would have witnessed there. Thankyou for the understanding and the caring J.G. 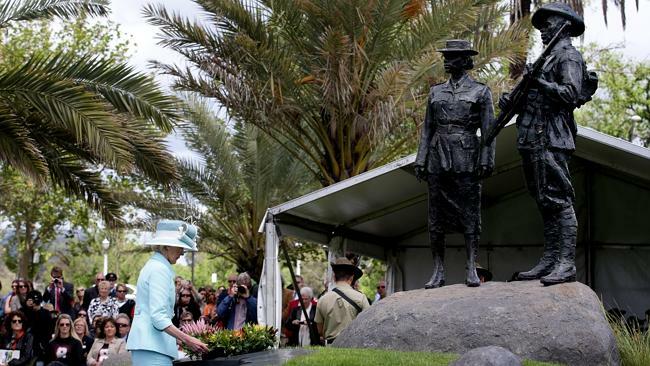 “unveiling of our Nation’s first memorial, here in Adelaide, South Australia dedicated to all Aboriginal and Torres Strait Islander Servicemen, and Servicewomen” This is so good to know. Yes South Australia is awesome with its firsts. Is there something in your water 😉 ? I haven’t heard about the graveyard issues, except in your post. Is it general lack of care or vandalism or lack of space? In my opinion it’s about a total lack of respect and where financial interest predominates. I am so ashamed that whilst South Australia has led the way with so many positive changes to society… that it’s now leading the way with this total lack of respect for our Ancestors. There is not a lack of space in this big wide, brown land of ours. Thanks for your caring.